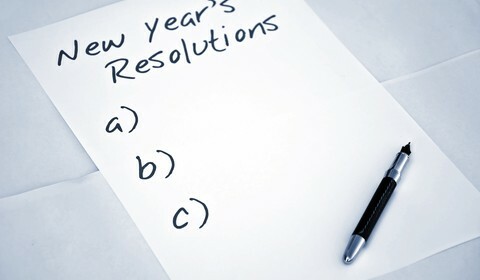 When you sit down this week to write out your New Year’s resolutions, make sure you leave room for your 401k. Many new investors max out their IRA every year, but that’s about all they do. There is no other strategy or alternative to that process. Many investors cheat themselves out of good opportunities by simply not exploring the options available to them. where to put their money beyond the 401(k). Don’t fret, we won’t leave you hanging. If your resolutions included to become a better investor in 2017, we have some starter tips for you. 1. Don’t worry about making other investments until you are maxing out your 401k. Making the decision to invest beyond a 401(k) or IRA should only come when you’re comfortably maxing out your retirement accounts. More so than that, take advantage of all the tax deferred investing that you can. It’s hard to pass up tax deferred or even tax free. The first step is planning and deciding how much you have to invest, where the [additional money] is coming from, when you might need or want the money, and how much risk you can stomach. Rookie investors are too easily influenced by daily market movement and trying to time their investing. You are never going to get in at just the right time nor will you be getting out at just the right time. Dollar cost averaging or investing at regular intervals will even out the highs and lows. The logic here is, if you’re in your late 20s or early 30s, the fluctuations of the market on one given day are unlikely to have serious consequences to the retirement money you’ll need to withdraw 30 years from now. 3. make sure you understand what you own, and why you own it. If you have new money to invest, I suggest a quick review of your existing investments. Are you properly diversified? Are the investment positions meeting your expectations? How are the investments performing relative to their risk and the markets? As a result, the answers to those questions will tell you if the new money should go into the same investments. 4. Having more than one financial advisor doesn’t mean you’re diversified. The notion that having multiple advisors ensures your money being diversified is ridiculous. Unless those advisors are actively communicating with one another there is no way to know if their strategies are overlapping. As a result, you may be taking more risk than you are comfortable with. Ask good questions and make sure you understand the level of risk in your strategy. Any competent advisor should be able to quantify the amount of risk in their investment strategy. The best thing to look for in future investments is to buy things you actually use in everyday life. Go buy Nike, Apple, and Starbucks and leave your money alone. As your savings grow, you can diversity into other household names like Amazon, Google, Netflix and the likes. Stick with them for the long haul and use pullbacks as buying opportunities. Ask yourself, what is going to be worth a lot in future? What stands to earn a in the next 30 years? What do I use every single day that I can not live without? Buy that. Consequently, it will work out just fine.